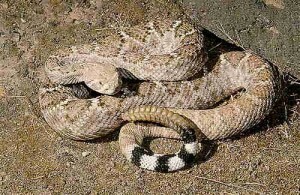 Yesterday, I stumbled out of the cabin at dawn to empty my pee can and startled a rattlesnake. It was curled at the edge of my doorway. I froze, it wound. I quickly backed my naked self inside the cabin but had to make sure that, yes, it was a rattler with the large jaws, the dusty diamonds and, of course, the rattle which it shook at me. The sound is wilder and edgier than I had imagined it would be. We were now both alarmed. I shut myself inside and went back to bed. The early day wind was strong and cool. It lulled me back to sleep until 7am, my usual rising time. I peered outside. No sign. I stomped out warning vibrations, gingerly opened the door and poked with a long stick kept expressly for this purpose. No snake. I stepped out carefully, surveying and stomping, poking into dark recesses. No snake. I went about my usual morning ritual: fetched water from the blue rain barrel, got the kettle boiling on the propane stove, put three hefty spoons of Lapsang Souchong in the pewter tea pot and gathered tea things in a basket which I carried into the Ponderosa pine grove where daily I sip and write. No snake. I kept my ears pricked and glanced about for quite a while then forgot about it as I watched the Black-chinned humming birds sport around the feeder. I thought to myself what would I do anyway? Not much. Have to keep my distance and not get bitten. Entertainments at Ravenrock are simple but rousing. The evening before, before sunset, I watched seven humming birds—Rufus and Black-chins—do quidditch around the major feeder, dive bombing viciously, then sitting at the four posts sucking down the sugar juice shoulder to shoulder. Odd. In the final edges of dusk, swifts or nighthawks swooped silently around the cabin. Black boomerangs with no call, only wing whir. The faint mosquito whine outside my screen pierced the wide wind sough. I was safe inside, away from the dreamworld nightmare hunting dark. The snake continued to lurk around my enclosure for several hours. At one point two, Wood Pewees sat on a low branch right above giving a taunting rattling call. An alarm to others? A warning off to the snake, which of course is useless because snakes don’t hear; they smell and feel vibration. Do the birds know that? The snake took a leisurely slither onto that low limb. The Pewees flitted off. I watched for a long time. I want to know what the snake does. Knowledge is protection. One unexpected thing: it makes less sound as it slides though the dry dead leaves than a slowly lumbering beetle. The sound is there. Very subtle. A low continuous pressure on the leaves but nothing you would hear unless you were actually watching the snake move. The snake doesn’t hear but it knows how to make itself inaudible. It is the essence of stealth. “The snake doesn’t hear but it knows how to make itself inaudible.” Wow. Going to take a while to process but something wonderful comes to the surface with this. Must we know with our senses to know, is there another ‘knowing’? I love that question, Nathalie.